The 2014 Ring of Fire Climbing Competition’s final round was on May 3 at Central Rock in Watertown M.A. The two young crushers who have been making headlines of late, Kai Lightner and Ashima Shiraishi, took top spots in the open category, an amazing performance by two inspirational athletes. This was 13-year-old Shiraishi’s first rope competition. She tied with Delaney Miller on the final female’s route and they went head-to-head on the men’s final route. Shiraishi climbed to the same high point as Lightner which was higher than Daniel Woods climbed, not bad for her first comp of that style. 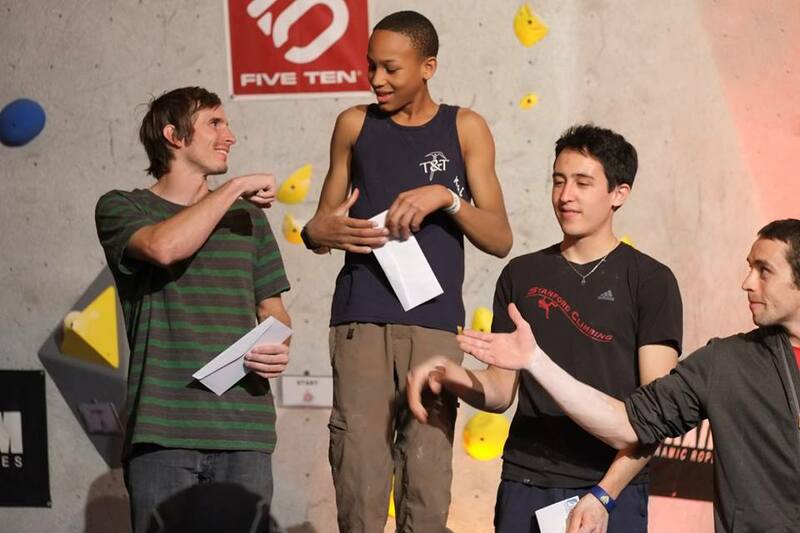 The 14-year-old Lightner, who is as tall other competitors that are much older, made a number of wild moves on the finals route. For a complete report on the comp, see here.